On Day 1 we joined Oliver on a training ride through the beautiful Salzkammergut. This region in the western part of Austria is well-known for its breathtaking landscapes, full of mountains and lakes. We're happy to say: We got some really awesome shots using the DJI Ronin – our stabilization gimbal – filming out of the trunk of our car. We also equipped Oliver and his bike with Gamin Virb action cams. We rigged them on the bike to get different angles of him riding through the Weißenbachtal, along the shore of the Traunsee lake and in the famous town of Hallstatt (traditionally packed with Asian tourists). Thanks to our equipment and Oliver’s energy it was easy to capture the beautiful scenery. Day 1 was a full success and we went to bed tired but happy. 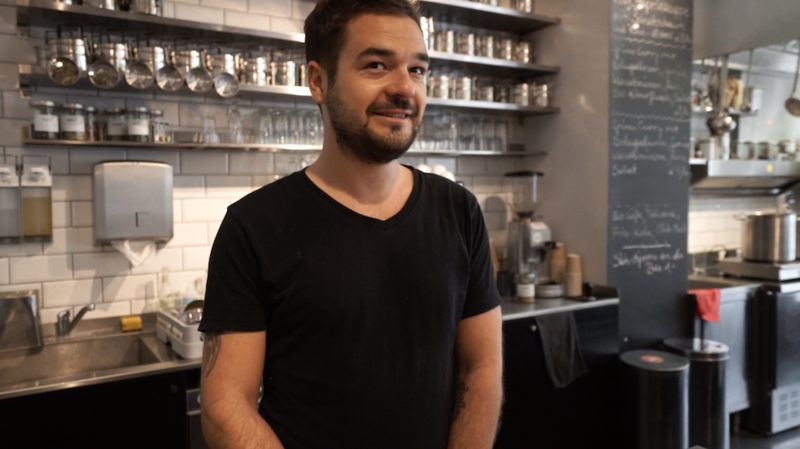 On Day 2 we met Oliver in his hometown Linz to film his daily routine juggling two jobs. He works as a bike messenger at GreenPedals and as a stage-hand at Posthof music venue. Starting early in the morning we followed Oliver from his house to various locations where he delivered envelopes, parcels and books. 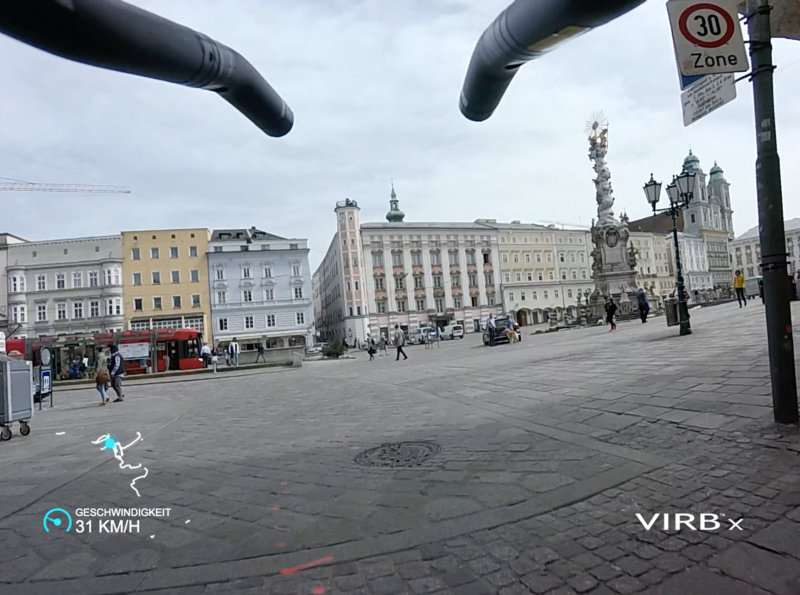 We tried to capture Oliver's bold rides through the traffic of Linz with our Sony α7s (Mark ii) cameras. We concluded the first part of the day at the office of Green Pedals where he met his co-workers. For his lunch break Oliver gets free meals at the holis market, an organic grocery store and restaurant. We met Attila, one of Oliver’s long-time friends, who works there. At holis market we had a spontaneous interview session that became quite philosophical, but was also good fun! We also got some great shots of him riding through busy traffic using the DJI Ronin. Our major concern was not to get in trouble with the authorities since filming out of the open trunk of a car is probably not the most lawful endeavor. But on this day the cops passing by day didn't care at all. 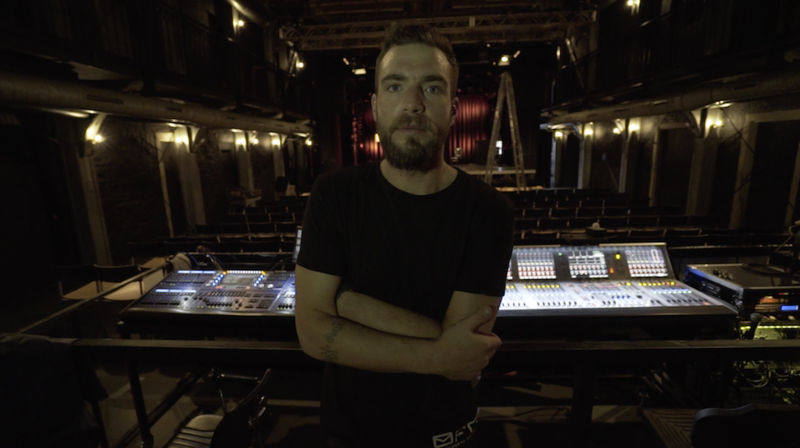 In the evening we filmed Oliver at his second job at Posthof Linz. We got to talk to Oliver’s boss and his colleagues, who also happen to be his best friends. Really cool people. We finished Day 2 after 12 hours of interesting, exciting, exhausting but also very funny work. Now we are even more convinced that The Pedalist is going to be an fascinating film about a guy who is a little bit crazy and obsessed with cycling. Oliver at his second job at Posthof Linz. Little tired as you can see, after a long day working and riding. Attila, a close friend to Olli, now working for Holis and supporting him with daily lunches. First things first! Photographer Ines Thomsen took outstanding shots of Oliver Wolf and The Pedalist-Crew.